A standard operating procedure, or SOP, is a set of step-by-step instructions compiled by organisations and corporations to help workers carry out complex routine operations. The aim of having such procedures is to achieve efficiency, quality output and uniformity of performance, while reducing miscommunication and failure to comply with the corporation’s objectives. 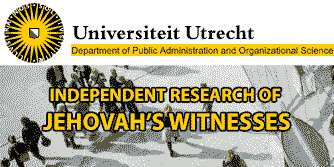 Watch Tower, or Jehovah’s Witnesses have many such procedures for everymedia activity their members perform, from the mundane such as stocking a janitor cupboard to the complex such as completing accounts audits. Here is an exhaustive list of such procedures.